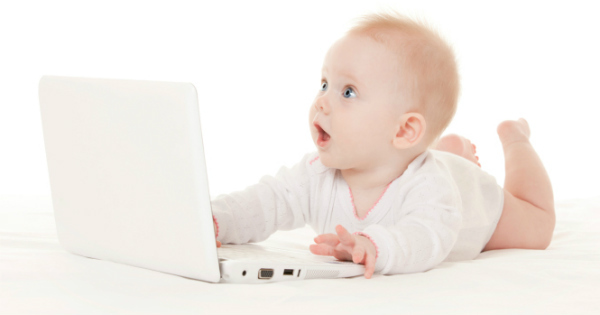 When you post a photo, video or any other details about your child online, you’re creating their digital footprint. It will exist for years to come – so you want to make sure you’re in charge of what is out there. And while it’s lovely to share photos of our little ones with friends and family, the sad reality is that some dangers do lurk on the web. But that’s not to say you should keep your kids totally offline – it’s just a matter of understanding the dangers and protecting them as best you can. With about 864 million daily active users, Facebook is the world’s biggest social network. Which means if something goes viral on the platform, it can travel a really, really long way. But the social media giant has two excellent features to help you make sure you have control over who sees what. 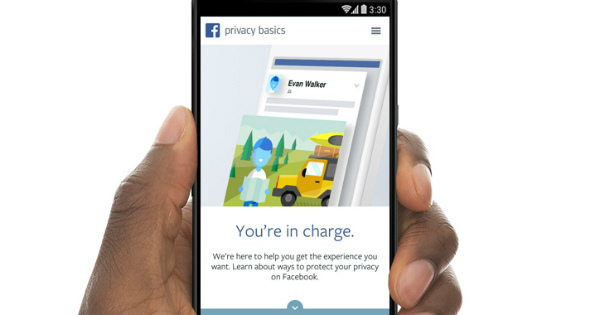 Its Privacy Basics interactive is a step-by-step guide to the most common questions around how you control information on Facebook – what others see about you, how others interact with you and what you see from others. It gives a rundown on friending, tagging, blocking, managing your timeline and comments on your posts, and choosing who sees which post (for example, did you know that you can choose just a handful of people to see a picture or status update?). It also walks you through how to change the sorts of ads you see on Facebook, and whose content you see on your newsfeed. 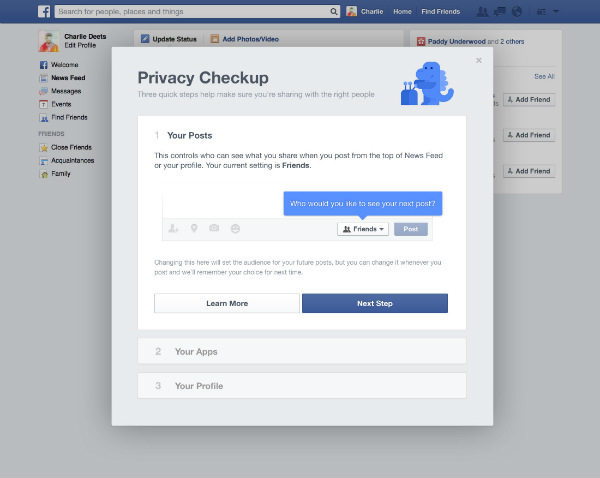 Another really handy tool is the Privacy Checkup, rolled out across Facebook recently. You may have seen a notification pop up on your Facebook screen, and it’s definitely one you shouldn’t ignore. The check-up walks you through all the privacy settings related to your account – it helps you choose the default setting for who can see your posts, which apps you interact with and what they can show on your profile, and which personal information is visible on your profile (such as birth date, email address and phone number). To get to the check-up, click on the privacy shortcuts icon (the padlock) at the top-right of your screen. The check-up is the top option – but you can also change the other settings below. Checking and updating privacy settings only takes a minute or two – but could save you a lot of grief down the line. What are your biggest concerns and questions around Facebook and other social media? Tell us below.